This biography of Jacques Derrida (1930-2004) tells the story of a Jewish boy from Algiers, excluded from school at the age of twelve, who went on to become the most widely translated French philosopher in the world - a vulnerable, tormented man who, throughout his life, continued to see himself as unwelcome in the French university system. We are plunged into the different worlds in which Derrida lived and worked: pre-independence Algeria, the microcosm of the cole Normale Sup rieure, the cluster of structuralist thinkers, and the turbulent events of 1968 and after. We meet the remarkable series of leading writers and philosophers with whom Derrida struck up a friendship: Louis Althusser, Emmanuel Levinas, Jean Genet, and H l ne Cixous, among others. We also witness an equally long series of often brutal polemics fought over crucial issues with thinkers such as Michel Foucault, Jacques Lacan, John R. Searle, and J rgen Habermas, as well as several controversies that went far beyond academia, the best known of which concerned Heidegger and Paul de Man. We follow a series of courageous political commitments in support of Nelson Mandela, illegal immigrants, and gay marriage. And we watch as a concept - deconstruction - takes wing and exerts an extraordinary influence way beyond the philosophical world, on literary studies, architecture, law, theology, feminism, queer theory, and postcolonial studies. 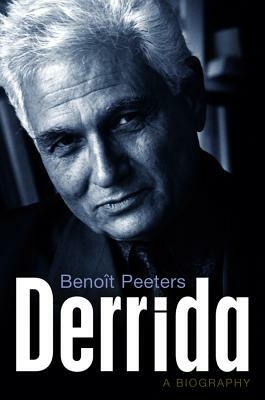 In writing this compelling and authoritative biography, Beno t Peeters talked to over a hundred individuals who knew and worked with Derrida. He is also the first person to make use of the huge personal archive built up by Derrida throughout his life and of his extensive correspondence. Peeters' book gives us a new and deeper understanding of the man who will perhaps be seen as the major philosopher of the second half of the twentieth century.